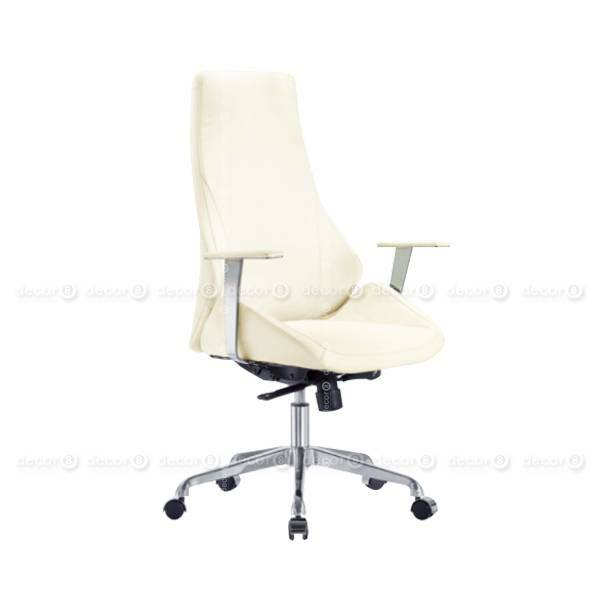 The Brette High Back Executive Office Chair - with Wheels is an ergonomic office chair with a cushion for the back and seat. The Brette office chair features a moulded backrest that fits the shape of your back for better posture. This chair has built-in caster wheels to provide mobility for the user to move around more freely at the desk. The Brette High Back Office Chair would make a perfect addition to any office, whether it be a home office, executive office for a manager or even a meeting room. This chair is manufactured in off-white leather upholstery and ships in approximately 2 weeks.